Today we are excited to show you a few of our favorite styles of stationery. There is a whole realm of different fonts and colors to choose from, but we must start at the very beginning! 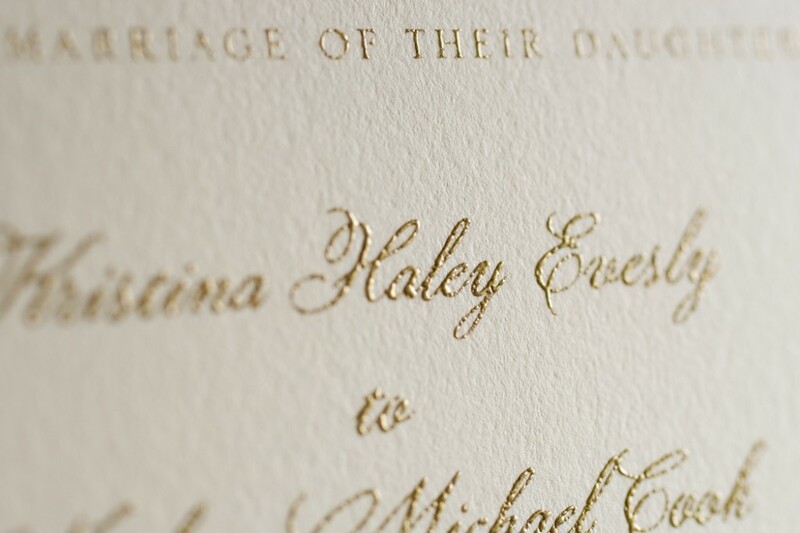 Letterpress – This is probably our favorite type of stationery. It has a texture and an amazing feel to it. Thick, hearty and inviting! Letterpress has been around since the mid-15th century. It involves composing the type (the wording or script) and placing it in the bed of a press, inking the type and pressing paper against it to form an impression. This picture is courtesy of our blog here! Thermography – This style of printing also offers a texture, but the exact opposite of letterpress. Thermographic printing is a raised format where you can feel the letters on top of the paper. The printing relies on heat to create the letters or images on paper. You can find this invitation here. Flat Printing – This technique is the most common and can be seen in many places – from books to posters to wedding invitations. It is the most affordable choice for invitations. It is a technique where the font or image is from a plate to the printing surface – most commonly paper. These invitations were found here!